If the victim was not in your care or custody, California Penal Code section 368 requires that you acted willfully to cause unjustifiable physical pain or mental suffering to the victim. Therefore, your elder abuse attorney in California will show that if the injury to the victim was the result of an accident, you did not have the intent required for an elder abuse conviction. Your attorney may be able to show that you acted with reasonable care and were not criminally negligent. If the victim was in your care or custody, elder abuse laws require that you either willfully committed the offense or were criminally negligent in doing so. Criminally negligence means that you must have acted in a way that created a high likelihood of injury to the victim. Therefore, if you were reasonably careful in your actions, your elder abuse attorney in California may be able to show this type of behavior does not amount to elder abuse. Under California law, the victim must be 65 years or older at the time of the alleged abuse. It is not uncommon to see charges of elder abuse or neglect brought against our clients for an alleged offense that occurred when the victim was under the age of 65. If the victim was not at least 65 years old at the time of the alleged offense, you cannot be convicted of elder abuse. However, you can still be criminally liable if the victim was a dependent adult, or convicted for other related crimes under the California Penal Code. In addition, you must know that the victim was at least 65 years old at the time of the alleged offense. The lack of knowledge defense can be brought in cases where the victim appeared younger than he or she actually was and you had no reason to know that the victim was an elder adult. Therefore, if you did not actually or reasonably know that the victim was at least 65 years old, you cannot be convicted of elder abuse. If you are looking for an elder abuse defense attorney in Orange County to represent you, Wallin & Klarich can help. 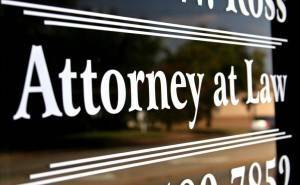 With over 30 years of experience and offices in Orange County, Los Angeles, San Diego, Riverside, San Bernardino, Ventura, Victorville and West Covina, our highly skilled and professional defense attorneys will conduct a thorough investigation of your case and passionately argue your side of the story. Call us today at (877) 4-NO-JAIL or (877) 466-5245 or fill out our intake form for immediate assistance. We will be there when you call.